A town in the north-west of the Freestate, position 27.2086°S 26.9471°E 1345m altutude. 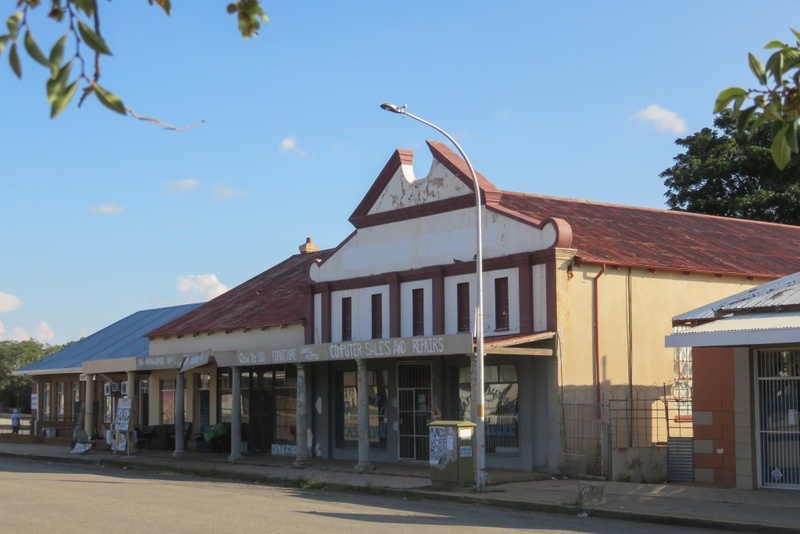 The town is one of the late comers in the history of South Africa, it was established in 1921 and named after the owner of the farm J.J.Viljoen and his horse Kroon. That doesn't mean it only got going in 1921. There is a report of a shop in 1910 and stands laid out and sold in 1920 and in fact the first village committee met in 1920, indicating that there must have been substantial building activity even before the official declaration. Pre-history in this case is the time before 1921 when the town was established. This pre-history can be found in the cemetery. Roughly in the middle is a group of graves that date back well before 1921 and as far back as the late 19th century. This was actually an item on the agenda of the first village management meeting in 1920, where it was decided to use the then existing cemetery. 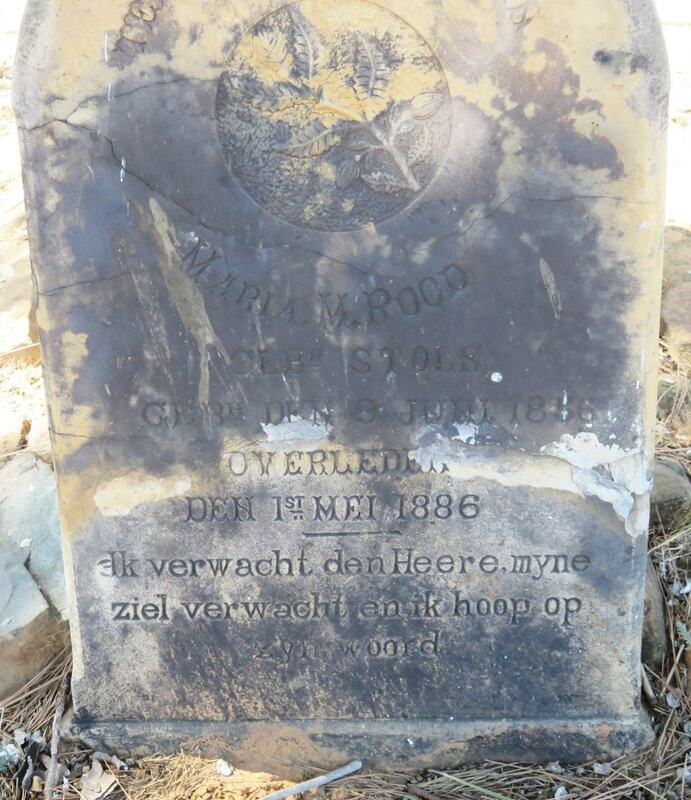 The oldest grave stone I could find was that of Maria M. Rood born Stols 9 June 1856 and died 1 May 1886. A surprise for me was to find a number of graves of people who originated from Lebanon. 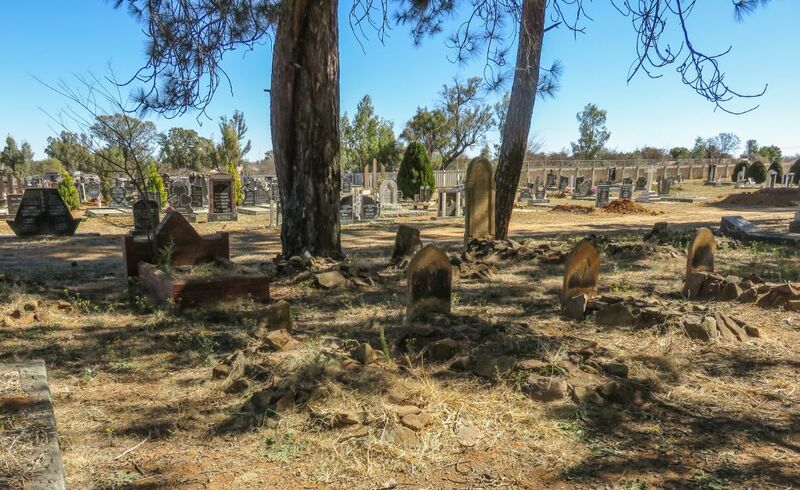 It is something I have not seen before in any of the cemeteries in the Free State. It pricked my interest and made me check the Internet for information. The town hall dates from 1938. It is not used very much, except for the council chamber which is still used for council meetings. The security guard was friendly enough to give us access to the inside. That is to the hall and stage, they still use the place for occasional functions. I used the opportunity for a quick speech from the stage. Lower right is the picture of the previous townhall. I am not sure when this was built, can't find a reference to it in ref 2. It looks like it comes from the 1920's. 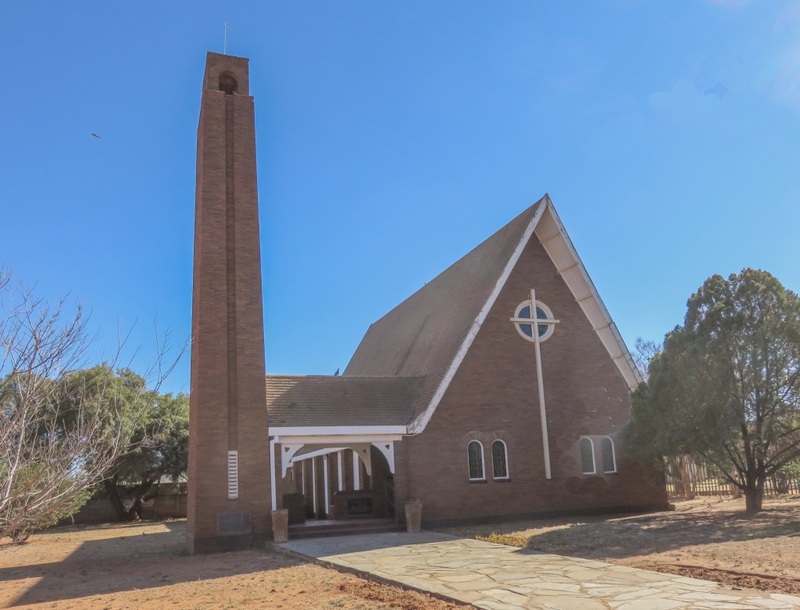 The church building shown in the picture was completed in 1948. The architects were Greers and Greers and the cost £36 000. It was the successor to a smaller church building which had been put up in 1923. The old church was later pulled down and replaced by the hall (gemente saal). And here you are, Ronnie (in the picture) was the first baby christened in the new church. 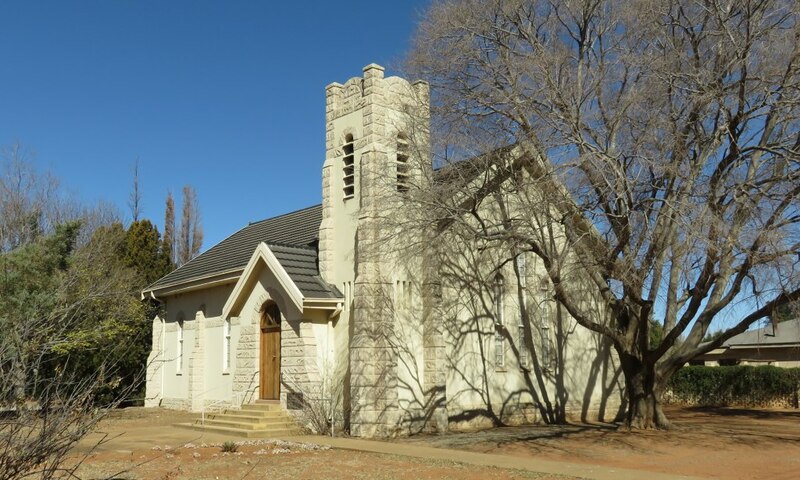 The Methodist Church had its origins at Witkop in the early 20th century. Witkop was a coal mine about 26km south-east from Viljoenskroon. A church was erected there, I presume one of those corrugated iron constructions, as was very common in those days. 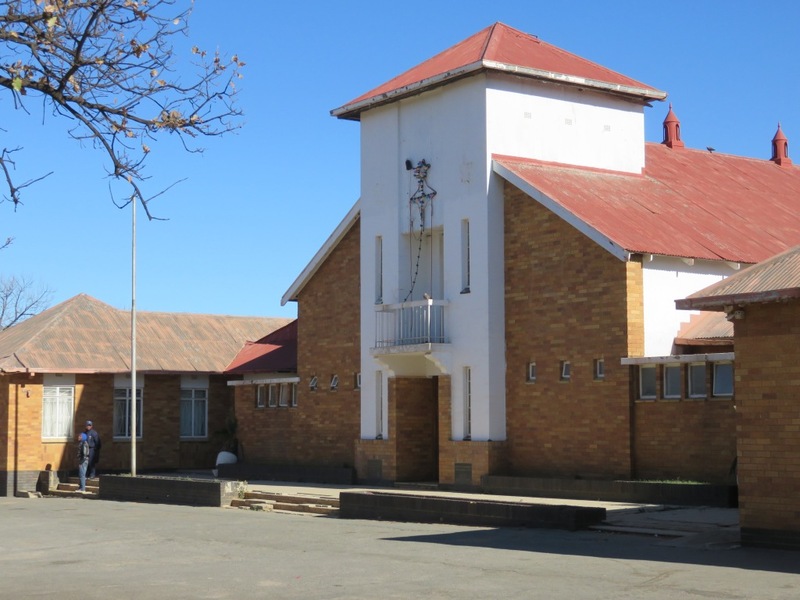 When Viljoenskroon had developed it was undertaken to move the building to a new place in the town, the place where the Methodist Church is standing now. This building was in use until 1956 when a new, the present church, was constructed. The numbers of the congregation have shrunk to a very low number. I found this to be a very attractive little church and it is stated in Ref 2 that this is the only building in the town worth preserving. With this chopped off tower it resembles some of the churches in England. But this is not a engelse kerk, it's the Gereformierte Kerk, reformed church. And this is where I get a bit confused, because it is not the NG- or the NH-church. 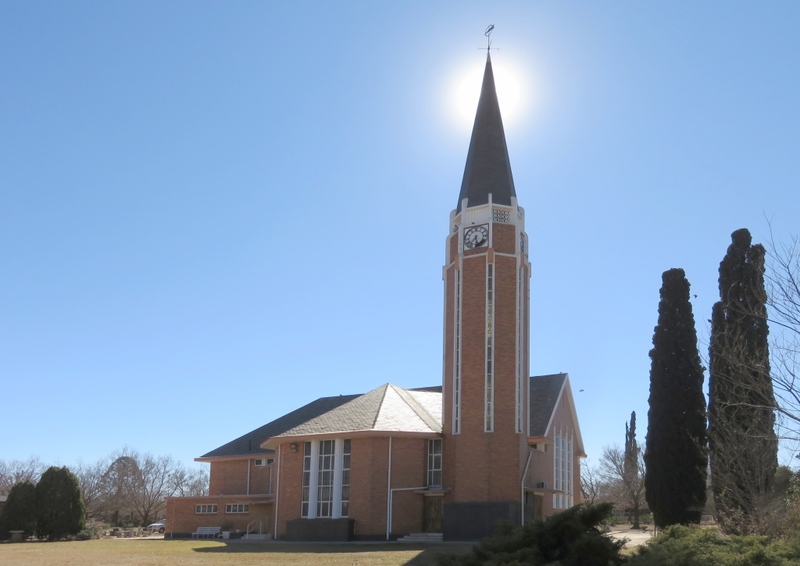 And I can't work out where it fits in with the different Afrikaans churches. Some more checking is required here, or perhaps some reader can enlighten me. 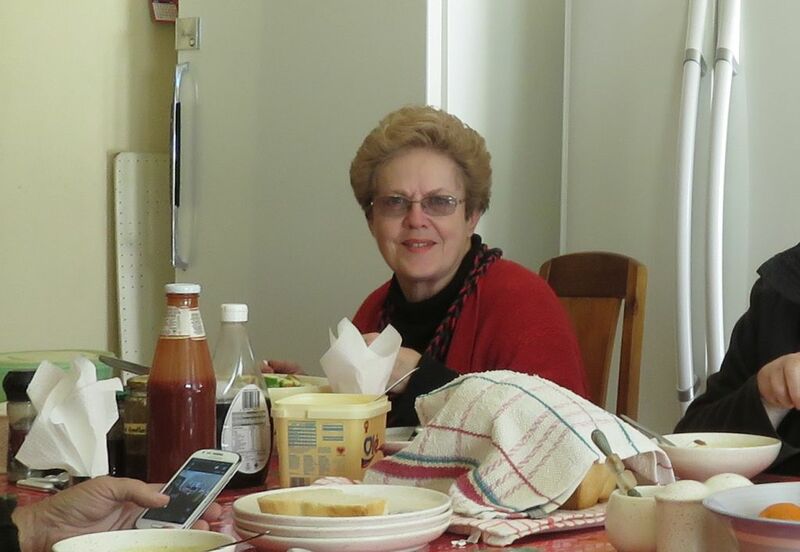 Our host informed us that the congregation is down to seven members, thus hardly viable. It's most likely the result of changing demographics, that is people moving away from the small towns to the larger cities, being replaced by people of a different culture. The rail came to town in 1915, that is actually wrong, because the town didn't exist in 1915. The station name was Rendezvous station, it was renamed to Viljoenskroon only in 1927. 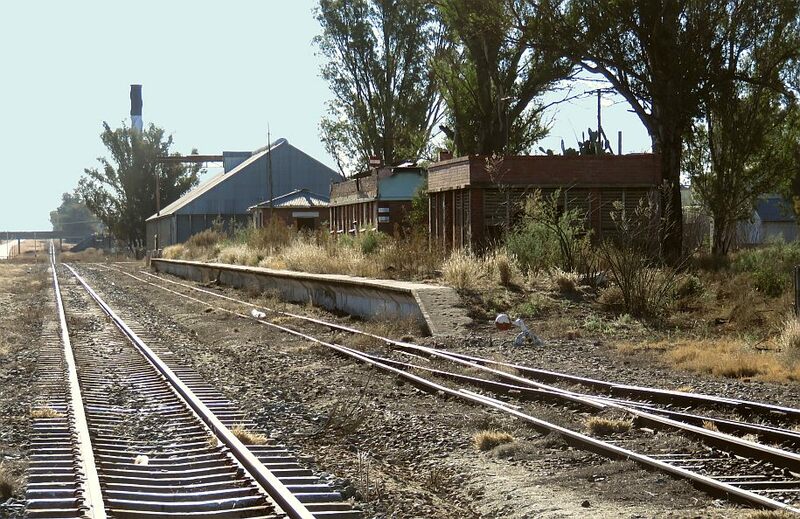 The rail is still in use, but the station is not, as can be seen from the ruined station buildings. There are a large number of grain silos to the south of the town. 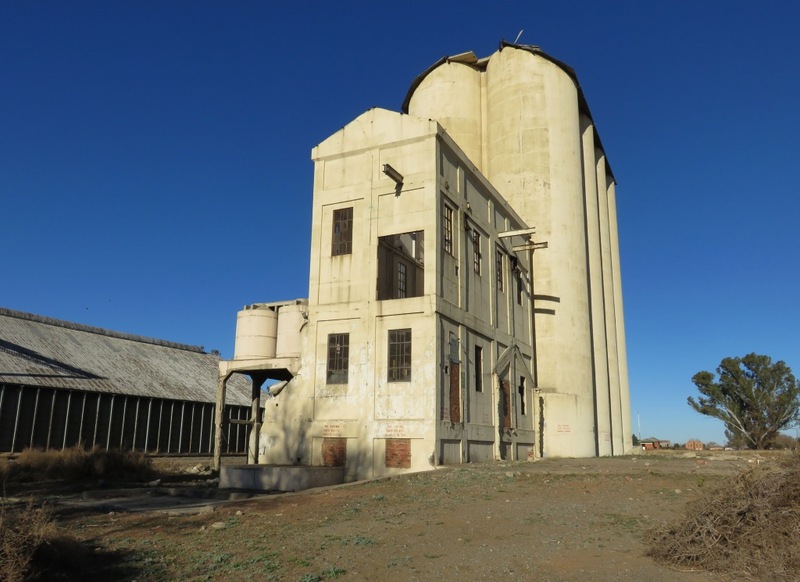 But what I want to mention here are the old silos erected around 1924. What is interesting is that these silos where not built by the Coops or any farmer's association, but by the railways to store the grain more efficiently and safer. 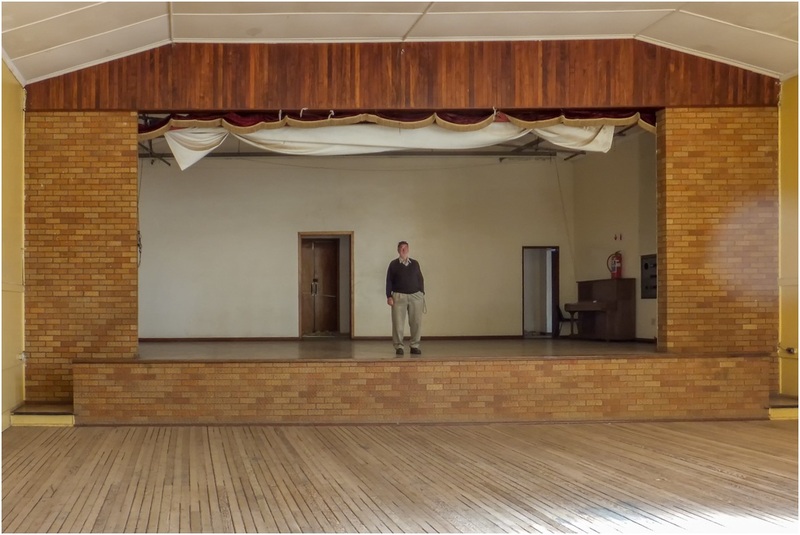 This is one example of many in the country, we have seen a few in various places in the Free State, and they all look the same, it must have been a standard design. When exactly this one was constructed, I am not sure, it is not on the list of installations existing in 1924 in Ref.3. 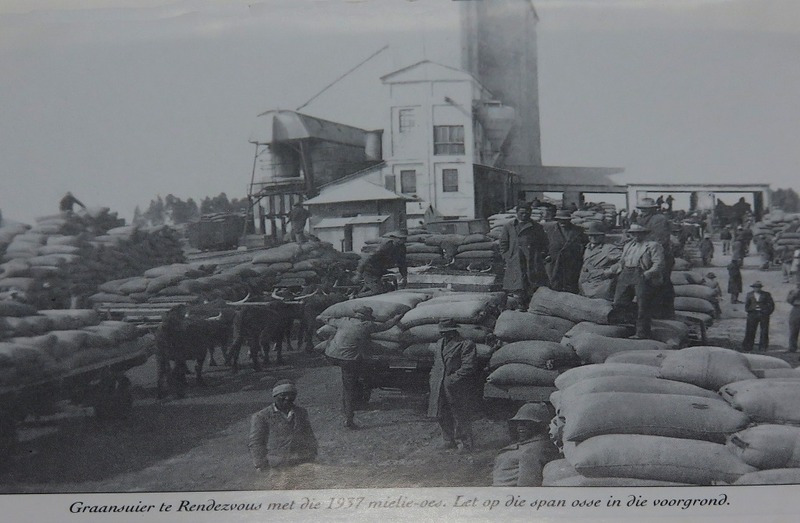 The picture on the right shows the harvest being delivered to the silos in 1937. I have to apologise to the authors of Ref 2 for using this picture without permission. I could not find any contact information in the book. From Wikipedia, the first Lebanese arrived in South Africa at about 1896, mainly attracted to the Witwatersrand Gold Field. The first Lebanese to arrive in the area was Domet Joseph Allem and Jimmy Daniel Shahim. At the first auction for stands in 1920 DJ Shahim bought one stand and DJ Allen two. Joseph immediately went to work to erect a structure to serve as his shop. JD Shahim took a bit longer, he first went on honeymoon before establishing JD Shahim General Dealer. Another family that arrived in the early days is the Gossayn family. 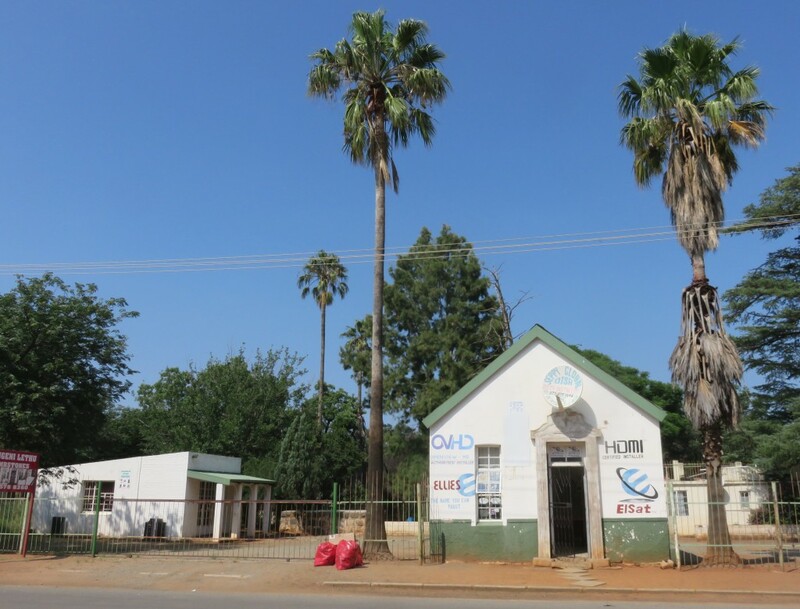 Gossen Moses started the first butchery, see the picture, it is now selling selling satellite TV accessories. There are a number of gravestones of the Allem's, Shahim's and Gossayn's. 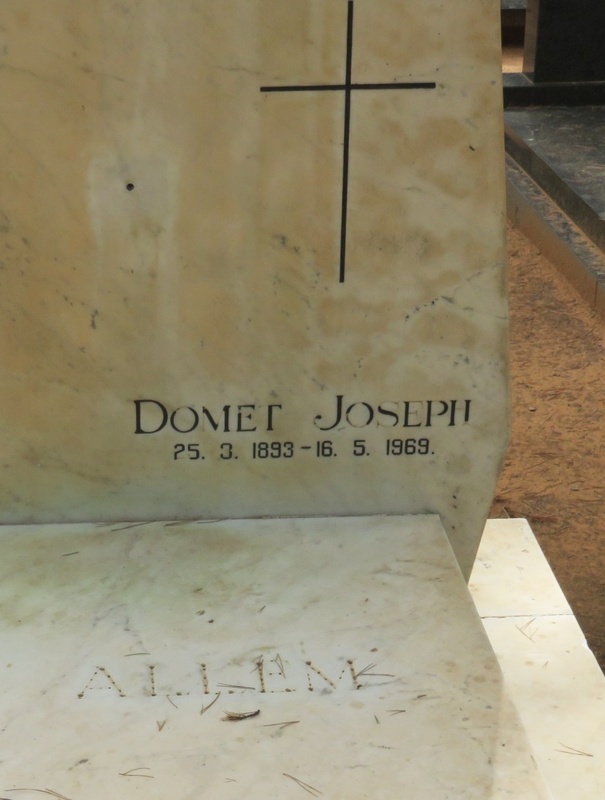 The one in the picture is that of Domet Joseph Allem, his dates are given as 25-3-1893 and 16-5-1969. Unfortunately some of the letters, made from copper or similar, have been stolen.